Introduction: If our previously reviewed Stren Original is the prototypical nylon monofilament, the subject of our next nylon monofilament line review is its twin. 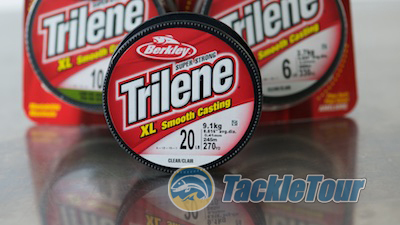 Berkley's Trilene XL, now under the same parent company umbrella as Stren (i.e. Pure Fishing) is just as popular if not more so than Stren. Touted by Berkley as America's best selling monofilament, it's only natural that we follow up the previous review with a look at Trilene XL. 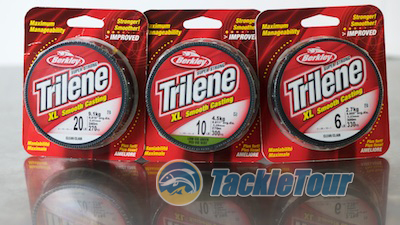 Quality : Trilene XL was actually the baseline monofilament we used in our original Fluorocarbon Showdown article back in 2007, so we're fairly familiar with this line already. Yet after all that time, we've yet to publish a full blown review on that line alone. That ends today. Taking a length of this line right off the spool taken out of a brand new package, we feel the line is relatively consistent when pulled between the finger tips. 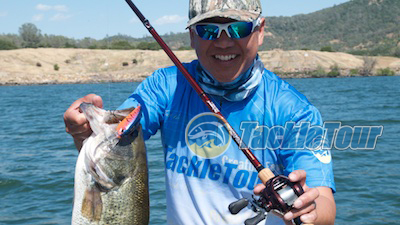 According to Berkley, Trilene XL is America's best selling fishing line. Similar to all the nylon monofilaments we've reviewed recently, Trilene XL is not precision wound so it's good to see that oversight doesn't affect the line's consistency too badly. The surface of this line is smooth but once again, not too slick. So we decided to take it into the lab to see what makes it so popular. Trilene XL in 10lb test is published at 0.280 mm in diameter, but when checked in the lab, we noted an average over 5 spot measurements of 0.293 mm. This is a difference of roughly 0.29% - well below the average of a 0.70% discrepancy. After our lab tests, it's time to take it out on the water. Performance: I've fished this line many times before but not with the mindset of a review. To refresh my memory of this line's performance characteristic, I spooled up some 6lb, 10lb, and 20lb on a few different reels and fished them on and off over the course of our 2015 review season. As you might expect, with a line that's been around as long as Trilene XL, I encountered no issues casting and pitching with this line. It performed as expected coming off both casting and spinning reels easily and with few memory issues especially when freshly spooled the day before. 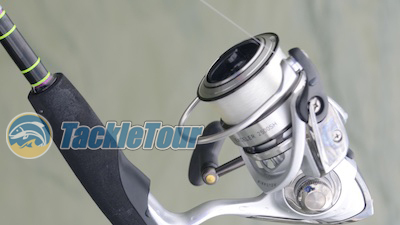 And yes, we tested it on spinning tackle too. Sensitivity is average for a nylon monofilament which is to say not very good - especially when you're accustomed to fishing high end fluorocarbon lines as I am. Trilene XL performed a little below average in our lab abrasion tests, but out on the water I didn't notice any premature wear in the line or felt the need to retie excessively. Nor did I run into any situations where a fish wrapped me around a branch or other obstacle, so I wasn't able to push the limits of this line out on the water. 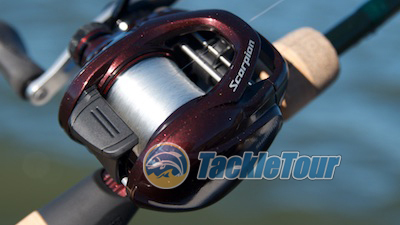 I had most fun cranking it up with Trilene XL.